The Silent Monument tells the tale of an age-old scroll discovered in the hidden chambers of the Taj Mahal. The journalist who finds the ancient artefact is murdered. His feisty widow, Manzil, is suddenly burdened with the deadly secret, the contents of which could rock the nation. She becomes the most wanted person in the country – threatened by fanatics, confronted by archaeologists, coerced by the police, and under surveillance by a political organization with a hidden agenda, she can trust no one. Kærlighedens blå safir, a translation of Karmic Blues was released in Denmark in September 2008. An unusual story of love and passion interwoven with suspense and family conflict, the novel delves in reincarnation and the mysterious depths of the minds. A spiritual journey in the beautiful ancient pilgrimage sites of North India, forms the backdrop of this tale spanning five centuries and starts in Hong Kong. 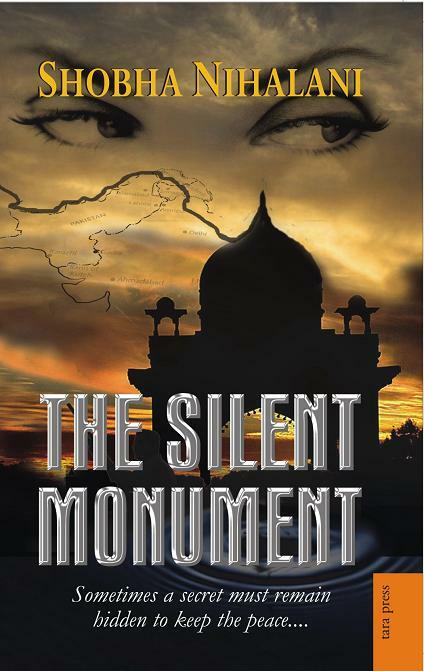 Just finished reading ‘The Silent Monument’ and thoroughly enjoyed it. For the last dozen years or so, I’ve been bitten by the conspiracy bug too. Having developed a latent interest in our amazing history I’ve been reading up a large number of topics including the Taj Mahal, Kutub Minar, the Nine Unknown men (which I look forward to reading btw) and places and monuments across the globe. As you know, Indian history is so old and vast that it cannot help be written and re-written and over written. A lot of our heritage is under lock and key and will never see the light of day. Our nation is strewn with old temples and monuments and unfortunately the ASI does not have the capacity (and the will?) to take care of all the monuments. They are doing a great job in places where tourism will generate revenue, Hampi being a great example, but unfortunately all the other places have to deal with their archaic ways of functioning. I have written several times to the ASI to let me volunteer at one of their digs, that I would be happy to push the wheelbarrows around. But no dice. As pointed out by you there are so many political agendas swirling around that it must be extremely hard to tiptoe around the powers that be who do not really care about our history. ‘The Silent Monument’ does a great job of bringing some of these issues to the fore. Just wanted to write in to say great job on ‘The Silent Monument’. I look forward to your next book. Thank you Vishvesh! Glad you liked the book. Much of Indian history is visible by evidence. Everyday these grand old symbols of the past are crumbling to dust. Unfortunately the ASI is bound to the government. I hope that more corporates come forward in an effort to preserve our amazing heritage. No reply yet from the ASI on volunteers. Will keep you posted. Had just a limited info on the book so please check the entry. Thanks! Just read ‘The Silent Monument’ … its quite an amazing book .. and really enthralling like the da vinci code … I have loved reading and watching mythical n historic fiction since i was thirteen almost 2-3 years back … the indiana jones films , dan brown novels and similar stuff … You must have come across this book ‘ Chariots of the Gods’ by Erich Von Daniken … it has really intresting facts . Anyway , the book is really fab and i must say … Indian history is much more interesting than any other and going into it is really amazing . Thanks Yash! Glad you enjoyed it…yes I read ‘Chariots of the Gods’ many years ago…it had compelling evidence and even today one wonders how these large structures were erected without modern technology…’Nine Unknown’ has similar themes, should be out this year or early next.